Extreme Mustang Makeover Here I Come! Great news everybody! I was accepted to be a trainer in this year’s Extreme Mustang Makeover taking place at the Dream Park. I am so excited. My next step is to return the trainer’s acceptance packet and have to search for a sturdy round pen or build one. I think the days to actually pick up the mustangs are April 5th and 6th, but I’ll keep you posted. Also, I think I read somewhere that everyone gets a gelding (male) mustang to train… but don’t quote me. Okay so I figured it out, every competition has all one gender, meaning some everyone has a gelding (boy) or mare (girl). It just so happens this competition will be mares. I think the most fun part of this competition will be getting another horse and spending time with it everyday. The hardest part will definitely be all of the patience I’m going to need, not only with the mustang (no name yet). Also, I work and attend school full-time so I’ll have to learn to juggle. This is where I need your help. I have a lot to do in the next month so hopefully you can help me. Does anyone have any cute names to suggest? Please comment below by clicking on the title of the post. 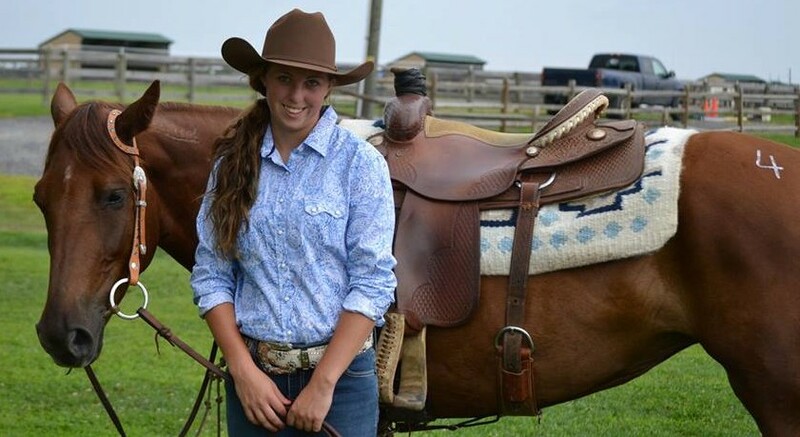 For example, to comment on this post, click “Extreme Mustang Makeover Here I Come!” If I have enough options, I will make a poll at the end for everyone to vote! Did I mention I am super excited? Thanks everyone. This should be a lot of fun for you! My mom is active in the SJ horse world and has friends competing in the mustang makeover as well. It would be really cool to see the process of training and updates about how things are going. You could post a picture of the horse when you get it along with your goals for her and go from there! Really nice blog.